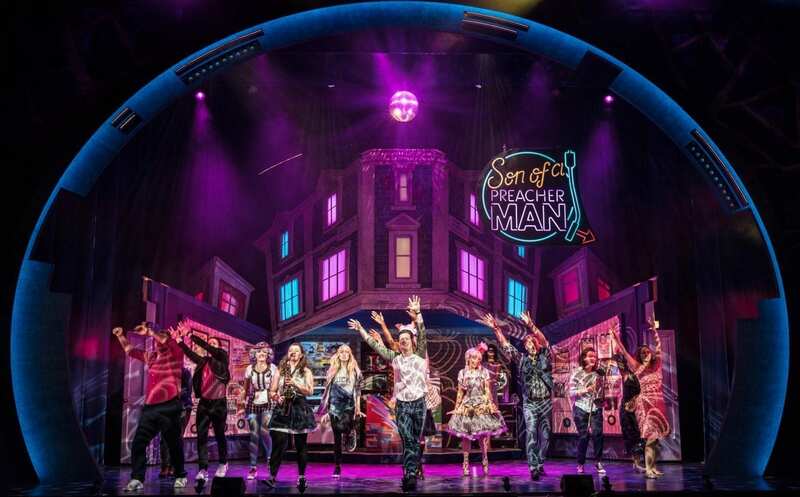 SON of a Preacher Man, a heart-warming new musical featuring the soulful music of Dusty Springfield, comes to the New Theatre Oxford from October 24 – 28, starring X Factor finalist Diana Vickers,Bad Girls and Coronation Street star Debra Stephenson and EastEnders and Coronation Street actor Ian Reddington. The musical, which is directed and choreographed by Craig Revel Horwood, will see Diana create the role of Kat and Debra create the role of Alison. Featuring the greatest hits of Dusty Springfield, including “The Look Of Love”, “I Only Want To Be With You”, “Spooky” and of course, the classic “Son Of A Preacher Man”, this sparklingly funny and sweetly touching new musical play by internationally renowned writer Warner Brown will have you laughing, crying and singing your heart out to some of the greatest songs ever written. Ian Reddington is best known for playing Tricky Dicky in EastEnders and Vernon in Coronation Street, with other roles in popular TV programmes including Dr Who, Shameless, Benidorm, Inspector Morse, Robin Hood, Outlander, The Queen’s Nose and The Dumping Ground. On stage, Ian has worked with the Royal Shakespeare Company and has toured the UK with Bouncers, Dead Funny and Oh What a Lovely War. His film credits include cult film Highlander. Tickets can be purchased from the New Theatre box office on George Street, by ringing 0844 871 3020 or by visiting our website at www.atgtickets.com/oxford (phone and internet bookings subject to booking/transaction fee. Calls are charged at 7p per minute, plus your phone company’s access charge.). Warner is currently working on multiple developing projects, including the Broadway musicals The Gold Room and The Thomas Crown Affair, both with composer Michael Feinstein; the opera Empty Spaces, with composer Joshua Schmidt, for Florentine Opera in the USA; the musical A Little Danger, with composer Michael Reed, for the St Petersburg Theatre in Russia; and the screenplay for the movie A Minute To Midnight for Bill Kenwright Films. He is part of the consortium, including choreographer Arlene Phillips and musical director Mike Dixon, for the new internet-based project Reality.